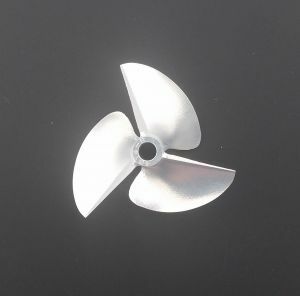 CNC 4214350-R Reversed 3 Blade Magnalium 7075 propeller. ATTENTION: Right and rotation. These spin clockwise when looking at them from the back of the boat. Used for twins or boats that require opposite rotation than normal.